I don't know about many of you, but sometimes us guys have a bit of an issue of getting timely Valentines Day gifts (I placed my phone call ... how about you?). 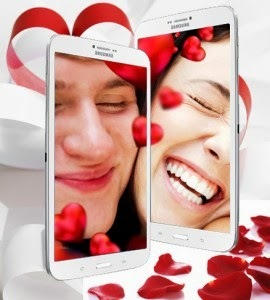 Well, Rogers wants to help you celebrate V Day the right way ... with wireless technology. They have a contest on right now where you can win a Galaxy Note 3 for you and your friend! Catch is you have to put a cheesy "Roses are red..." poem into their comments section on the site. Not sure if they want 'geeky', 'goofy' or actually something romantic. Contest ends tomorrow (Thursday) at 4pm.